Dr. Sian Beilock, one of the foremost experts on the brain science behind performance under stress, explains why highly skilled people fail to perform their best when the stakes are high and everything is riding on their next move, in other words, choke under pressure. This is an extremely relevant topic for us project managers who face constant pressure to perform despite what’s going on around us. 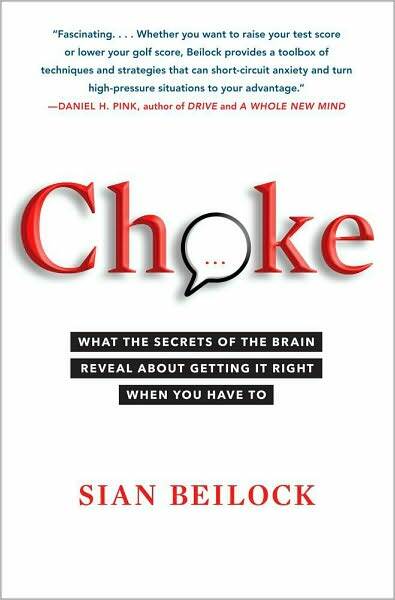 In this interview, Dr. Beilock shares valuable insights from her excellent book, “CHOKE: What the Secrets of the Brain Reveal about Getting it Right When You Have to”. She unpacks the science behind chocking under pressure and provides practical advice on how to avoid it and succeed when it matters most. Dr. Beilock is a psychology professor at The University of Chicago and one of the world’s leading experts on the brain science behind “choking under pressure” and the many factors influencing all types of performance: from test-taking to public speaking to your golf swing. Dr. Beilock’s research is routinely covered in the media (e.g., CNN, New York Times, NPR, Wall Street Journal) and she was highlighted as one of four “Rising Stars” across all academic disciplines by the Chronicle of Higher Education in 2005 and chosen as one of twenty-five “Women to Watch” by Crain’s Chicago Business Magazine in 2007. Dr. Beilock runs the Human Performance Lab at the University of Chicago. Tell us a little bit about the type of research that your Human Performance Lab at the University of Chicago specializes in. 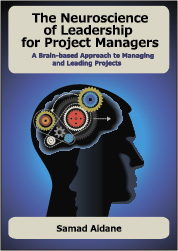 I found the insights you shared in your book “Choke: What secrets of the brain reveal about getting it right when you have to” to be extremely valuable and I saw that project managers can benefit from this book as it helps us understand why people fail to perform their best when the stakes are high and everything is riding on their next move. What was the background for writing the book and what did you hope people will get out of it. Since the book came out, what has been some of the feedback you received from readers and especially from the business community? Can you give us a definition of choking and some examples? Based on your research, what have you found to be the main reasons why highly skilled people may not perform at top capacity under pressure, in other words, choke under pressure? Can you give us a high level overview of the neurobiology of Chocking? In the book, you describe a number of strategies that help us prevent choking under pressure. Can you share with us some of these strategies? In the chapter 1, you make the point that “The Curse of Expertise” trips experts when they try to predict Other’s performance. Can you elaborate on this point? In the chapter about “Brain Differences Between the Sexes”, you point out how just being stereotyped negatively is enough to drive down performance. Can you give some examples of the research behind this finding? Tell us a little bit about some of the exciting projects that your Human Performance Lab at the University of Chicago is working on these days and what is next for you. Dr. Beilock received a B.S. in Cognitive Science from the University of California, San Diego and PhDs in both Kinesiology (sport science) and Psychology from Michigan State University. Her research is funded by the U.S. Department of Education and a CAREER award from the National Science Foundation.